I made it through one week of being bishop. I showed up on Monday, September 8 for week two. By my calculations there are 310 more to go before the end of my term. The prayer above has become an indispensable part of my morning devotions. So what follows are my observations after one week as synod bishop. It is as much joy as it is drudgery. As I heard one bishop say many years ago, “Without Jesus Christ, ministry is drudgery.” So the one constant companion that I have made sure to have in my life has been Jesus. I confess that there have been times in my life that I have put daily devotions aside, or try to squeeze in time somewhere during the day to take a cursory glance at my devotional reading; but this last week, the time for devotions has become a priority. And I have found that my refuge and strength. I would even add comfort. My mind has been going at a whirlwind pace. Even in the midst of sleep it has become a challenge to shut off the brain. In sports, athletes often talk about slowing the game down. It is a metaphor just as appropriate to this office. Life comes at you fast. I have to learn to slow it down. On my Facebook page last week someone commented that it was like the first day of school, except that I was the superintendent. However, I felt and still feel more like the student. I am learning something new each day. Each day it seems as if one or another staff member is educating me as to how things are done and enlightening me on their patterns and practices. I am adapting to the ebbs and flows of the office. I am becoming acquainted with pastors I didn’t know very well; congregations I didn’t know existed. And, of course, there are the meetings. By the end of the day I welcome having the building to myself so I can spend some quiet time alone. Someone also mentioned to me that the complaints will begin the day after your first day. That person wasn’t too far off. I benefited from a Labor Day holiday, which perhaps delayed the onslaught, but sure enough, it didn’t take long for the dissatisfaction to surface. The grievances weren’t all necessarily directed at me, but I sensed a certain degree of expectation that I could fix what was wrong. I can joke about it now, but I confess that the first one stung just a little. I don’t hesitate to remind people that I am new at this. As I reflect back on things, I guess the expectations are perhaps a little greater for someone of my (ahem!) maturity. It may be true that with age comes wisdom but there is still a learning curve no matter how mature one is. One big difference I have noticed is that the emails in my inbox have proliferated. It takes nearly a half day to read through all of them. And yes, there are the phone calls. Time management is essential. So what did I do for fun? Well, I treated myself to a road trip. 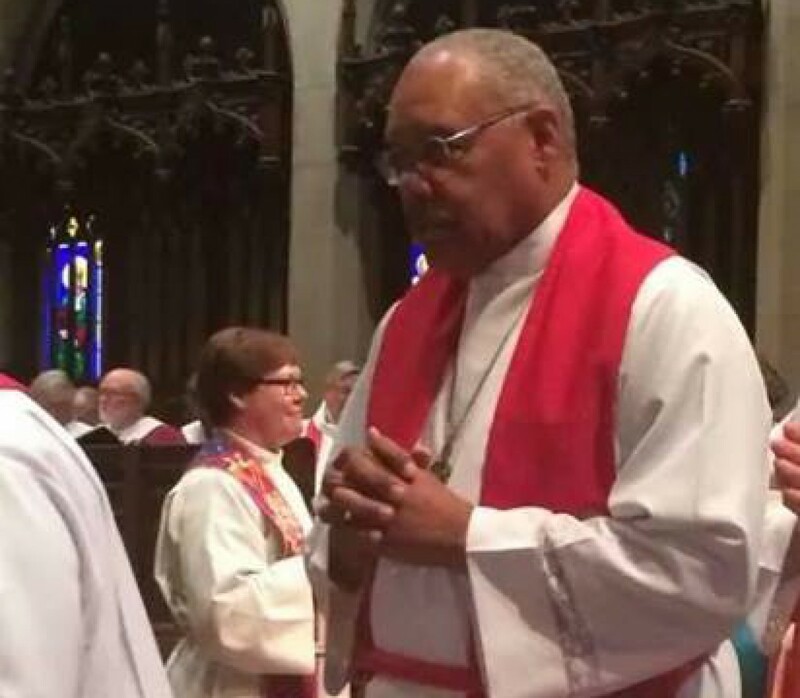 On Friday evening I travelled to Rochester, New York, to witness the installation of the Rev. John Macholz, Bishop of the Upstate New York Synod. It gave me a chance to observe what I will go through this upcoming weekend on September 13. It was a glorious day. On the way back I managed to stop in on the folks at Advent Lutheran Church in Cleveland as they took part in our national service day by packing bags of groceries for people in need. I wanted to visit more sites but time just didn’t allow it. And just in case you’re wondering, YES, I do miss parish ministry. I have not preached in over a month. I am eager to get back into the pulpit. I have not taught a Sunday school class since early May. However, I have made hospital visits and spent a little bit of time in what you might call counseling. But this feels different. It will take getting used to. In closing I promise this will be the only weekly summary I plan to give. I wouldn’t want to bore you. But I covet your prayers as this adventure continues. They really do bring me strength and comfort. I mean it. Peace. Fabuloso!! 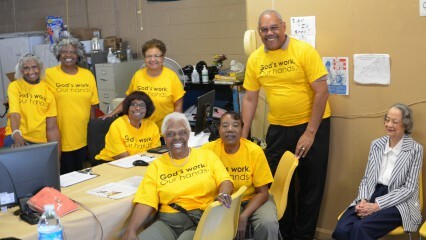 Thanks for your wonderful service to the people of God!!! Thank you very much, Sister Alicia! Hope to see you Saturday. It was nice to hear about your first week. I think so many of us in the field wonder what a Bishop does. Thanks for the knowledge. Morning devotions: A secret source of real strength-blessings and love one day at a time.